Inspired by Damian Lillard's tough but controlled playing style, Dame Basketball shoes are built for both function and form. 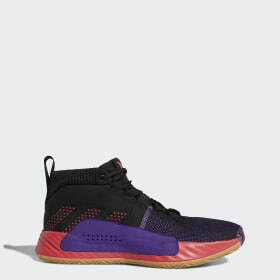 Made to meet the standards of Portland Trail Blazers’ All-Star point guard, D Lillard shoes give lift for those smooth jump shots and are crafted for a snug and secure fit. 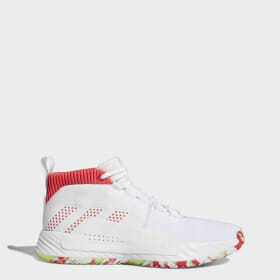 Damian Lillard joined forces with the 3-Stripes in 2014, with his first signature shoe dropping the next year and more Dame shoes following that. 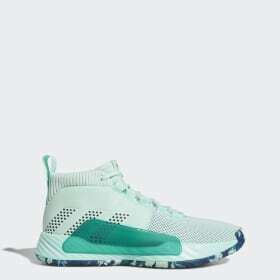 The legacy of adidas basketball began in 1949 with the creation of the first basketball boot, kicking off a decades-long quest to create the best court shoe possible. Since then, athletic technology has evolved along with the style of play, with players like Damian Lillard leading the world in talent and class. Dame Lillard shoes continue to evolve, each iteration upping the game and giving players something new for the court. The D Lillard 2 Boost charges every step with light, fast Boost energy, while the Damian Lillard 3 rocks court-cushioning Bounce technology and a rubber outsole tread inspired by his roots. 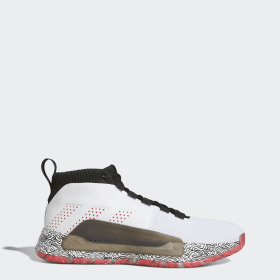 For extra court comfort, the Dame 4 – also known as the Damian Lillard 4 or D Lillard 4 – keeps things light with a breathable textile upper, while the high-traction outsole rocks a wavy tread pattern to remind you to stay in the flow of the game.